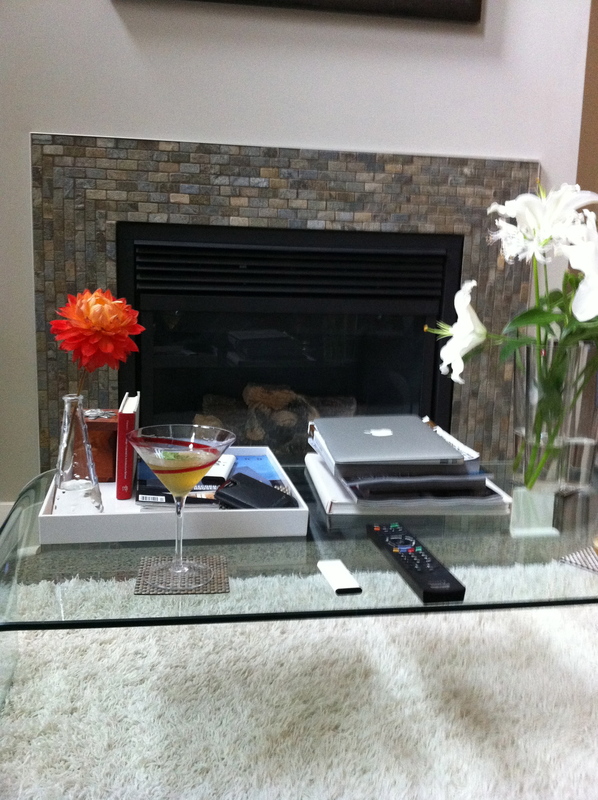 I openly admit that my first creative cocktail, the Mojtini, is not for everyone. First you have to like rum, albeit good rum, and second you need to be able to handle an extremely potent cocktail. 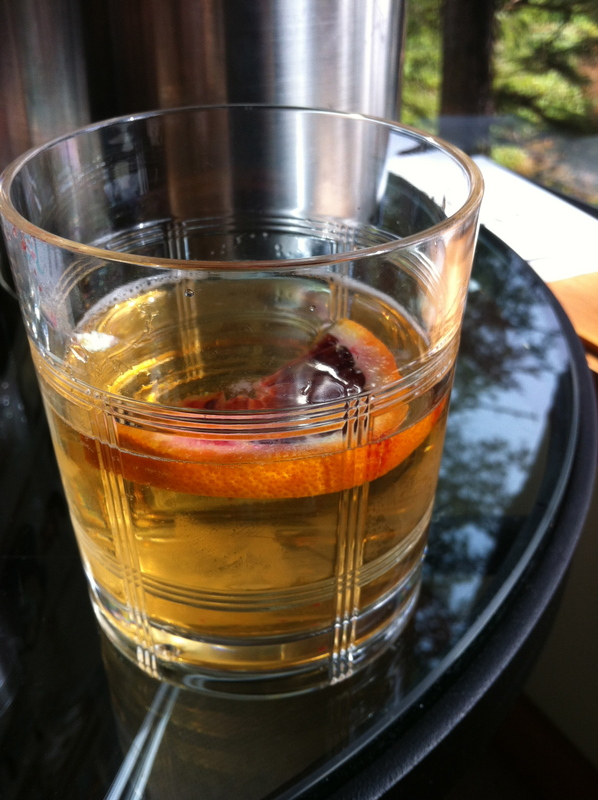 If you’re a little more faint at heart, my newest libation creation might be for you. I call it the PARC Royale, and it is downright delicious if I do say so myself. Must be shaken not stirred. I challenge you to make yourself a PARC Royale and post your thoughts here after you try it; you won’t be disappointed! The last couple of posts here at Exploring-Art.com having been awfully philosophical and perhaps not very uplifting. Fear not! We have not thrown the baby out with the bath water. This is still the place for feel good posts, heart felt recommendations and creative encouragement. With New Year’s eve nearly upon us I feel the need to make a sparkling wine recommendation. Champagne is one of my favourite things, but it is expensive and a lovely Cremant can be equally as good for a fraction of the price. Here’s this year’s Cremant recommendation for a New Year’s not to be forgotten! 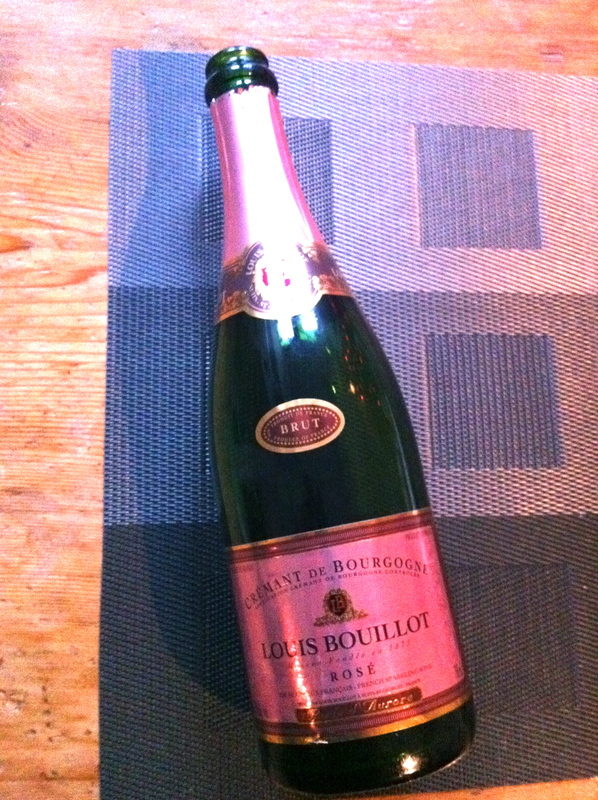 Louis Bouillot, Rose, Cremant de Bourgogne is a delicious concoction based on the pinot noir grape. It’s well balanced, with not too much sweetness or acidity, and a gorgeous lingering creme. More importantly it will leave you wanting more, a lot more. It’s a bargain for $25 at your local Canadian liquor store. Have a happy New Year! This week for our creative challenge we are inventing something you can drink! Go ahead! Dream up something you’ve never tried before and give it a whirl, you might be impressed. 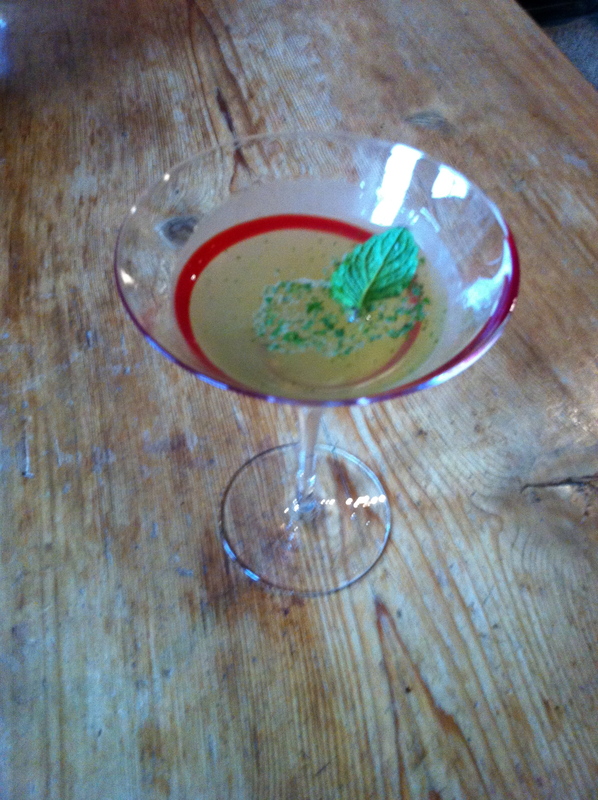 I am pleased to introduce the world premier of the Mojtini! 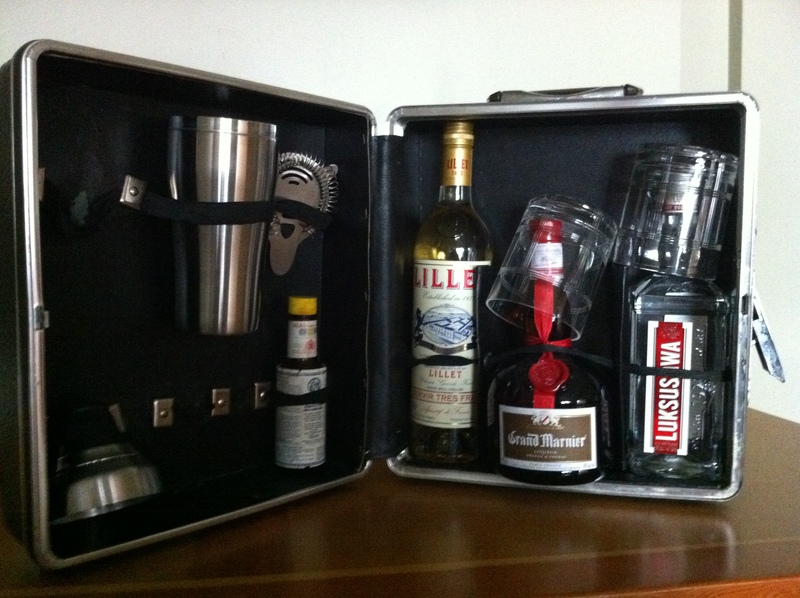 Just in time for Movember, Christmas and other important drinking festivities! A Mojtini is essentially a mojito crossed with a martini… all the booze and none of the extras. First and foremost with a drink of this boozy pedigree it is essential you start with good booze. I turn to my all time favourite gluten free, liquors: English Harbour 5 Year Vintage Rum, and Luksusowa Potato Vodka. Add ingredients in order as above. Shake vigorously. With this pacticular martini you really want to shatter and melt the ice (definitely shaken not stirred) so as to take a tiny edge off the straight booze. Pour and garnish with a fresh mint leaf… Enjoy this rocket ship of a libation. It will make you think of the finest things in life and a poetic lackadaisical existence all at once.